Banana in jaggery sauce – easy and healthy dessert made with long variety Kerala Nendran bananas, jaggery and ghee for toddlers and kids. 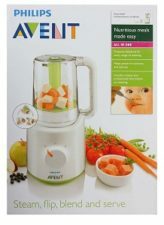 This recipe may sound simple for a post but still I want to keep a record of my childhoods favorite recipe in the blog. Kerala banana or Nendran banana is a nutritious banana variety which helps toddlers and kids in healthy weight gain. 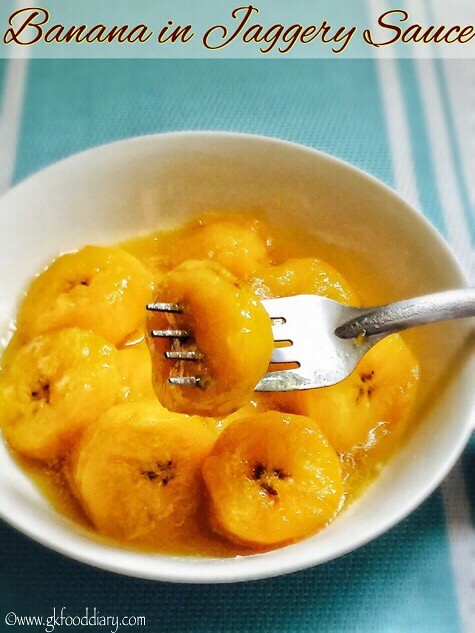 Though I would suggest to have steamed Kerala bananas as such, this banana recipe in jaggery sauce sure a treat once in a while and helps fussy eaters to have this healthy banana. 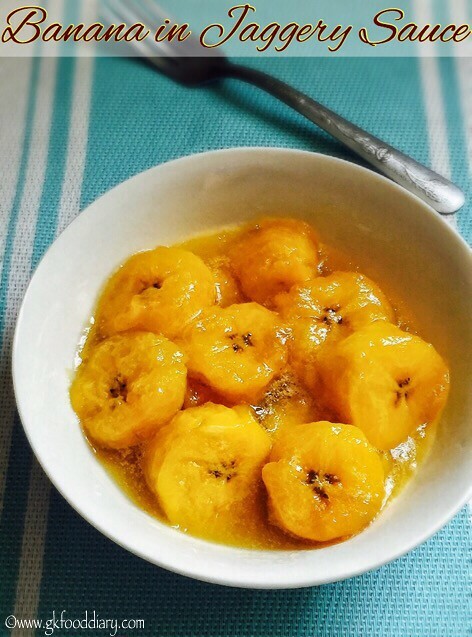 This banana in jaggery sauce can be given to babies after one year as a quick dessert. 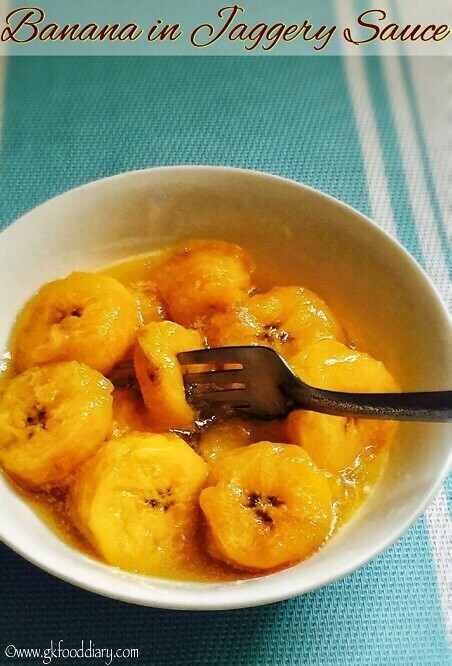 Now Let’s check how to make this banana in jaggery sauce recipe for toddlers and kids. Keep all the ingredients ready. Peel and slice bananas. 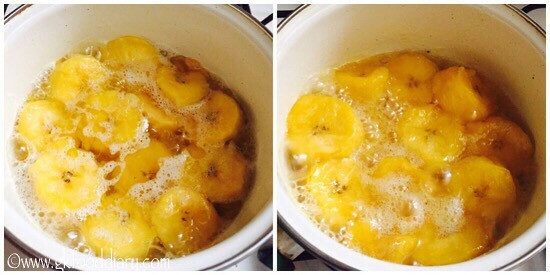 In a sauce pan, take sliced bananas and add water. Cook it until soft. It may take 5 minutes. Cooking banana is optional if you are using a banana variety other than Kerala banana. Then add jaggery powder to it. Let the jaggery melt and boil it until the jaggery sauce is slightly thick. Then add ghee and cook it further for 2 more minutes. Switch off the flames once done. 1. Keep all the ingredients ready. Peel and slice bananas. 2. 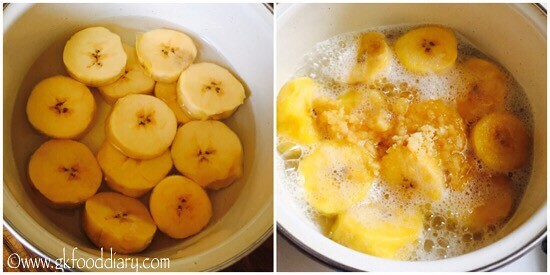 In a sauce pan, take sliced bananas and add water. Cook it until soft. It may take 5 minutes. Cooking banana is optional if you are using a banana variety other than Kerala banana. Then add jaggery powder to it. 3. Let the jaggery melt and boil it until the jaggery sauce is slightly thick. Then add ghee and cook it further for 2 more minutes. Switch off the flames once done. Banana in jaggery sauce is ready! You can also steam cook the Kerala banana and use. Cooking Kerala banana ensure easier digestion and hence it’s recommended. 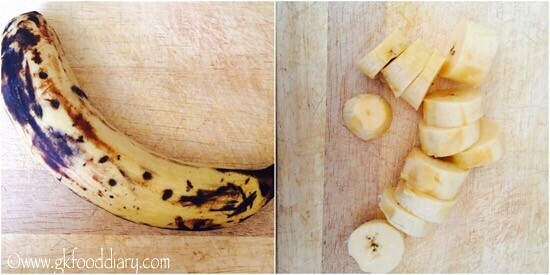 If using Kerala Nendran banana for small babies, make sure to remove the center black seeds part for easier digestion. 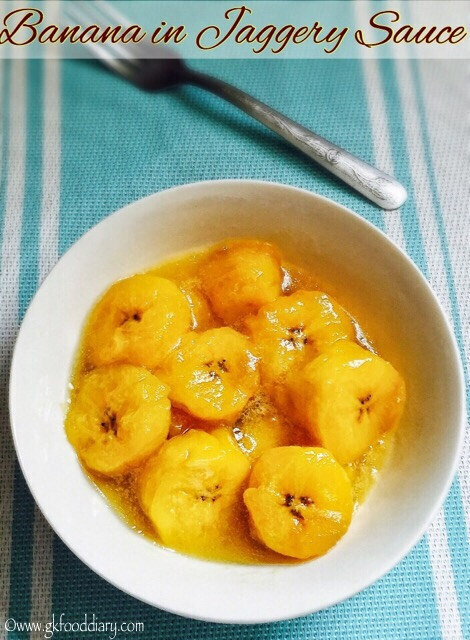 You can use any long variety banana to make this recipe. But Kerala banana gives a nice flavor. Adjust jaggery according to the sweetness of banana.